Arsenal Ladies won 2-0 at rivals Chelsea to go three points clear at the top of Continental Cup Group One. 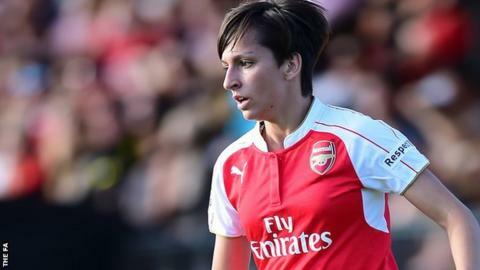 Spain midfielder Marta Corredera punished two defensive mistakes to net twice for Arsenal, who host Chelsea in the Women's Super League next Sunday. Elsewhere, Birmingham City moved to the top of Group Three with a 3-0 victory over second-tier side Oxford United. Yeovil Town beat Aston Villa 3-1 to boost their hopes of reaching the quarter-finals. Rachel Williams's first-half effort gave Notts County their second win in two Continental Cup games as they beat Bristol Academy 1-0.